Small towns throughout Alabama may not have all of the tools for growth and development that the big cities have, but they do have Alabama Communities of Excellence. ACE has been helping towns of between 2,000 and 18,000 people for 15 years. Instead of looking at what the towns don’t have, the ACE program looks at what they do have and helps them maximize those attributes. It might be a beautiful downtown (Abbeville), a natural feature (Demopolis) or even a place in literary history (Monroeville). “ACE uses an asset-based approach that recognizes and values the individuality of each community, and helps towns focus on their distinctive assets and resources,” said Sidney Hoover, executive director of ACE. There are 32 designated ACE Towns throughout the state and six now participating in the comprehensive, three-phase program. Jasper, Oneonta and Spanish Fort will be designated as ACE Towns at the opening session of the Alabama League of Municipalities annual convention in Birmingham on May 20. After a competitive application process, towns chosen for the program are given a detailed assessment with a “report card” of assets. The town leaders are given training and workshops to develop vision and mission statements, implementation strategies and a continuing leadership development program. 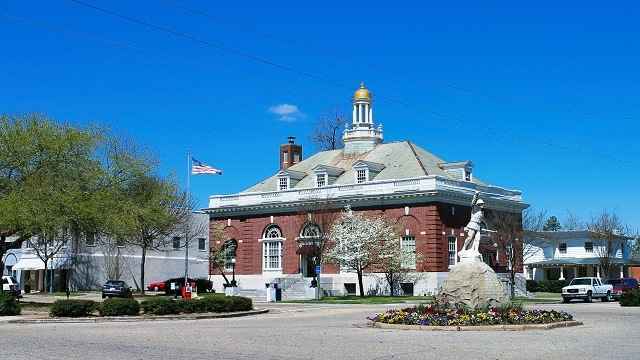 ACE then assists with the implementation strategy along with the creation of a long-term comprehensive plan to build on a town’s early successes. The final phase is graduation, where a town earns the ACE designation and is recognized at the Alabama League of Municipalities annual convention. Monroeville, Alabama, home of To Kill a Mockingbird. Helping the ACE staff in its endeavors is a host of partners throughout the state with the kind of expertise few small cities would normally be able to access. Patrick Murphy, vice president of Economic and Community Development at Alabama Power, is the president of the ACE board of directors. In the months ahead, Alabama NewsCenter will take a closer look at the designated ACE Towns, the assets identified through the ACE process and how they are being maximized.